Some of our clients have noticed that a lot of their newsletter subscribers do not get their emailed newsletter. 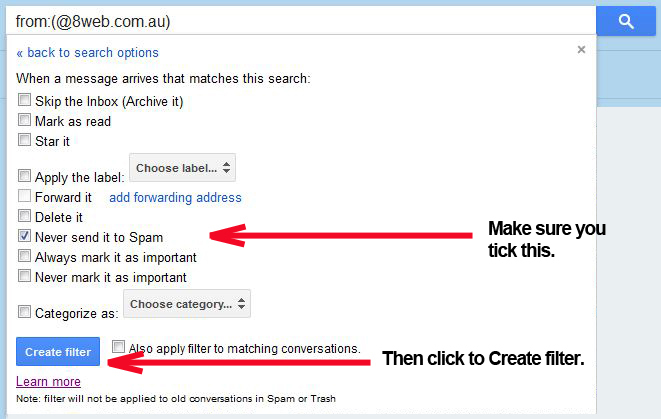 For one reason or another, the receiving email address provider either rejects the sent email or marks it as Spam. The question is what can be done to minimise this from occurring?! Apart from having all email accounts set up right by 8WEB for our clients, which includes DKIM being enabled & SPF records set up correctly, there is very little else that we can do about it. As an extra measure this week, we have added our server ip records to a public database of whitelisted ips at dnswl.org in a hope that this will have a positive impact. To have superior email (including newsletters) delivery results, 8WEB recommends to all its clients to actively and regularly ask their subscribers to whitelist their domains (set up filters) inside their email client or email program that they use (ie. Gmail, Outlook Express, etc). Sometimes when the subscriber’s email address used is a work email address, the subscriber in question will have to contact their network administrator(s), and ask them to add the required email/domain records to a network admin managed whitelist. 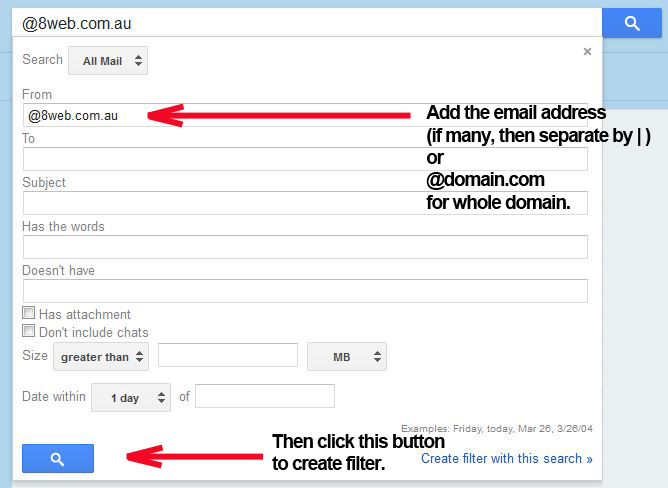 When setting up filters in Gmail, if you write in the FROM field as an example @8web.com.au , that will cover the whole domain in question. Just remember Never send it to Spam is checked. Once saved, the created filter will whitelist all emails with that domain name. 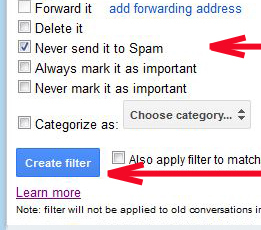 Below are some pictures to assist you with setting up filters on Gmail. Click on the pictures, if you want to see them in bigger size.